This beautifully designed and well-maintained water view home w/ boat slip/lift is ideal for enjoying captivating year-round lake scenery & nature amidst the lovely surroundings of Lake Norman. This open floor plan flows so well w/a versatile two-story great room & sun-drenched family room, formal dining area & sunrise views of the lake from the breakfast area bay window and gorgeous kitchen w/ stunning Delicatus white granite, glass front cabinets, pull-out shelving, & pantry. The main level master suite & bath w/ a vaulted tray ceiling boasts furniture quality cabinetry, a large seamless walk-in shower, generously sized jetted tub, granite and stone & a custom finished closet. Upstairs includes (3) sizable bedrooms & (2) full BAs, a reading loft, a 3rd floor rec/media room & walk-in attic storage. 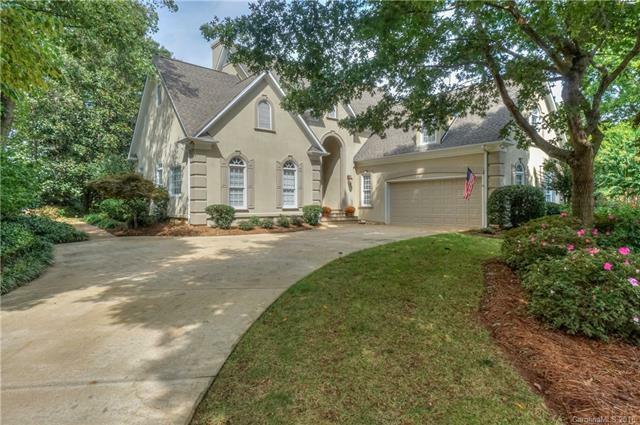 Enjoy intimate dining & large gatherings in this private, prof. landscaped back yard w/ patio & includes a soothing water fountain, blooms from the gardenias, colorful azaleas & hydrangeas.